> I’ve found a new love. Metalwork. Oh my. The more ‘skilled’…and at this point, I use that word loosely…I get at the sawing and the soldering the more excited I become at the possibilities. Its like sewing really. Metal not fabric, but the elements are similar. Decide what you’re going to make, draw out your pattern, collect your tools, cut and assemble. I have some sheets of copper and brass and some much smaller sheets of sterling and fine silver in varying gauges. So far I’ve found the brass the most difficult to manage because of the hardness. The sterling which I finally cut into yesterday, is by far the nicest to work with. I tend to beat them all up a bit, partly because I like the time worn look but also due to my level of skill. The brass takes on a beautiful finish in spite of my lack of experience and I love that. I love the look of all of them for different reasons but really I lean toward the brass right now. 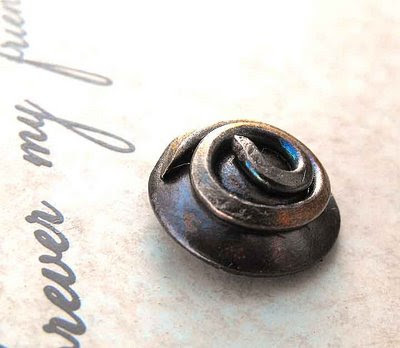 I’ve listed a sweet copper and silver button in my etsy shop if you’re interested in that sort of thing. Oh yes…I’m having way-y too much fun with this. >lol..I know YOU understand. Your work is very inspiring. I will try repousse(sp?) on a small piece one day. >Oooh, purty! I wish I could do metalwork! 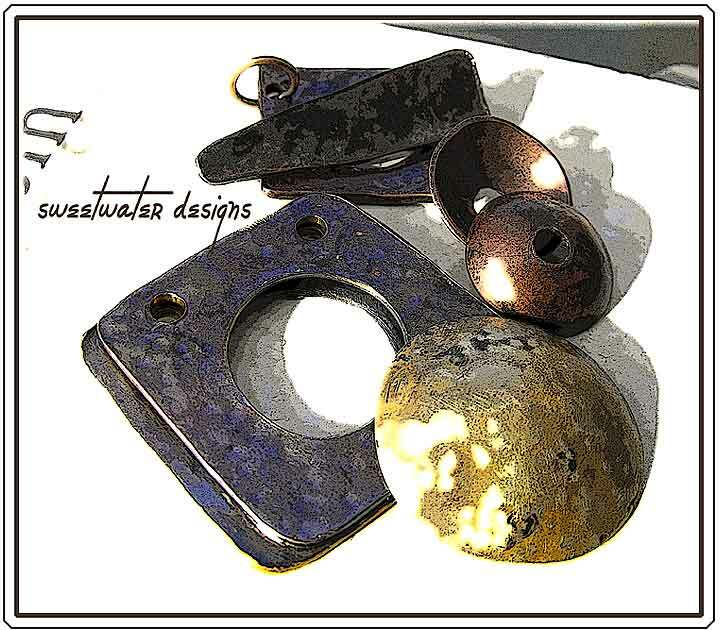 You are currently reading >Hand crafted clasps at fireandglass.